The man like Plastician drops another long-awaited mix in his now seminal Sounds That Speaks Volumes series. Sick selection and on point mixing is the order of the day. If your not a fan of wobble in your bass…you’ll learn to appreciate it as I did when he dropped and wheeled Flux’s I Can’t Stop about 6 times in Mungos Arena last year. Alternatively click on the link and send your email address in exchange for a free download. This entry was posted on July 28, 2011 by adofo1. 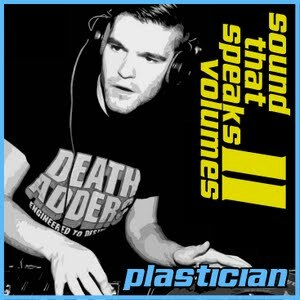 It was filed under Music and was tagged with 2011, Dubstep, Grime, London, Plastician, Sounds That Speak Volumes 11.